Whether your goal is getting fit or learning to code, 2015 is all about dreaming big. As for your new wardrobe? Here’s a preview of the freshest looks to inspire you! The chicest way to step up your fitness routine? Wear sneakers with everything—yep, even a long gown—and you’ll think twice before taking that cab. Sweeten the deal with this season’s crop tops and matching tea-length skirts. Eat your heart out, Betty Crocker! In leather pants and boots, computer geek can be chic. Kick off the New Year by giving your wardrobe a stylish update—this season, a crisp button-down and an embellished swing skirt. And no one cuts it all better than Michael Kors. Looking to clean up your act? Start by cultivating your green thumb. Supernatural floral looks deliver a dose of greens without the garden work. It’s never too late to pick up an instrument. An ethereal tulle gown like this will make any performance simply magical. A fashionista is all about putting together outfits worthy of a second take, but sometimes it feels like we’ve used up all our tips and tricks. So here are 11 fresh ways to make your outfits more interesting! 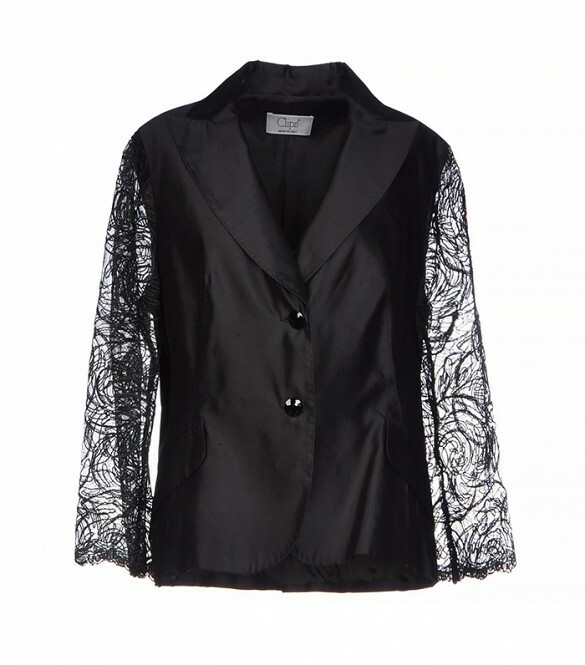 Slip into a blazer with a unique detail, like lace sleeves or shoulder embellishments. Pair it with neutral separates for a well-balanced look. Need I say more? These bags are perfect for the fashionable gal on the go. 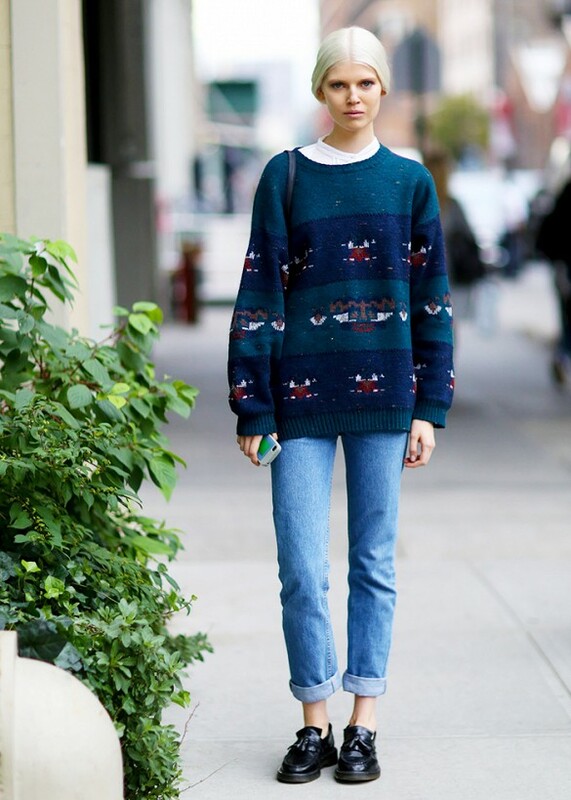 Give your fall look a festive vibe with a grandpa-inspired sweater. Wear a cool vest with preppy pieces, like a crisp button-down shirt and pleated miniskirt. Wear a bold midi dress with a leather moto jacket for an editor-approved outfit. Cool temperatures call for seasonal embellishments, like toggles! There are so many ways to tie your scarf..So why not try a fresh way like this neckerchief style! 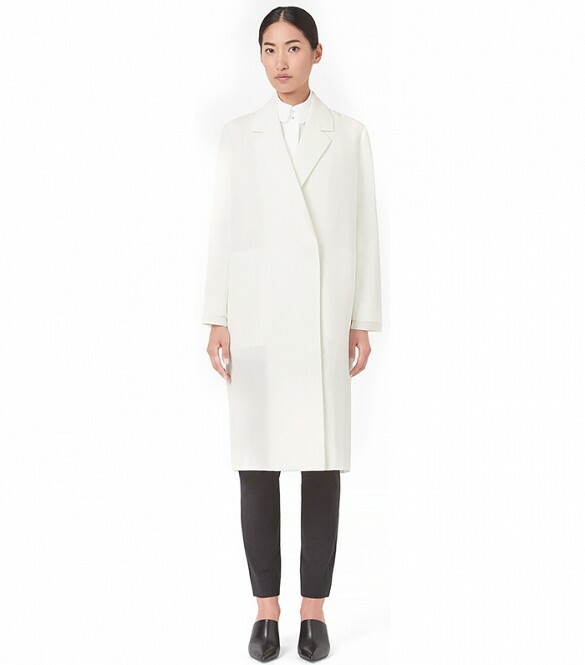 Swap out your everyday black coat for a wintery white one in an elongated silhouette. Find a coat with a furry texture and wear it with It-girl separates, like skinny jeans and moto boots. Even if the rest of your outfit is subdued, a stylish mini-bag can add the perfect dose of fun to your ensemble. 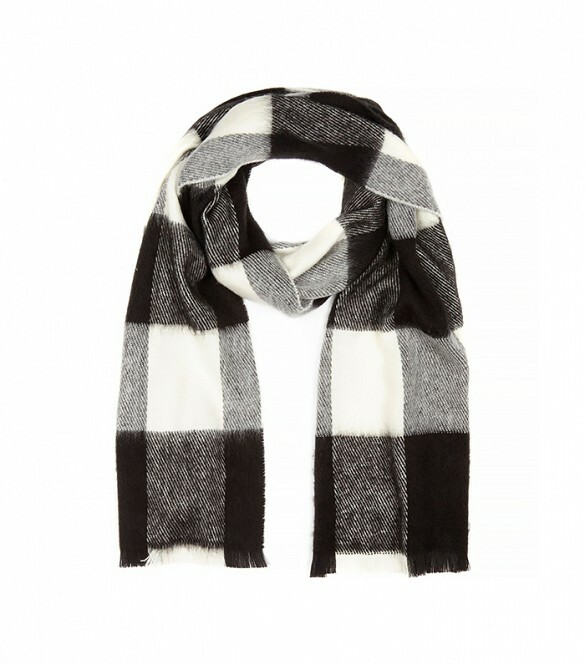 If you haven’t discovered the heaven that is a blanket scarf, I suggest you invest in this cozy piece ASAP. Snag one in a buffalo-check print for added effect. The smallest tweaks to your outfit can make all the difference. These are the easiest styling tricks that will make you look more polished, and all in under a minute. Next time you step into one of your favorite pairs of skinnies, flip the hem up for a change of pace. Sometimes your outfit needs that uptown accessory. Enter: the silk tie. Adding a brightly colored hat will take your look from mundane, to head-turning. As seen here on model, Dree Hemingway, wearing your bag as a clutch looks a little more ladydlike than stringing it across your body. 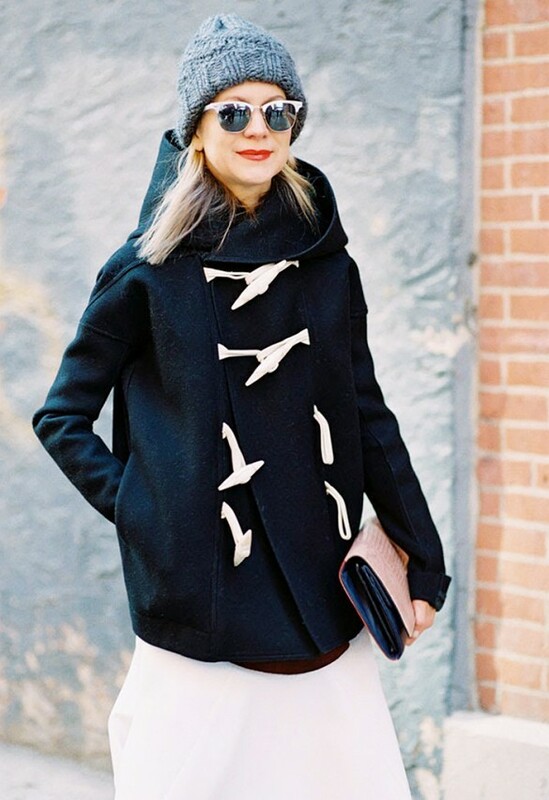 Wear your coat as a cape (i.e. the fashion pack’s favorite look) on your next evening out. Make a cocktail dress daytime appropriate by layering a crisp, white button-down underneath. 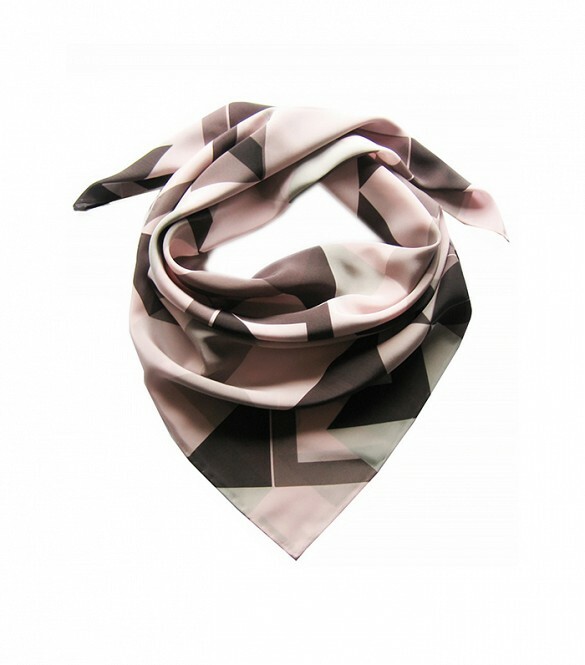 A silk neckerchief adds instant polish. Try one in place of your go-to statement necklace. Just keep them in the same color family as either your shoes or your pants as Pernille Teisbeck does here. 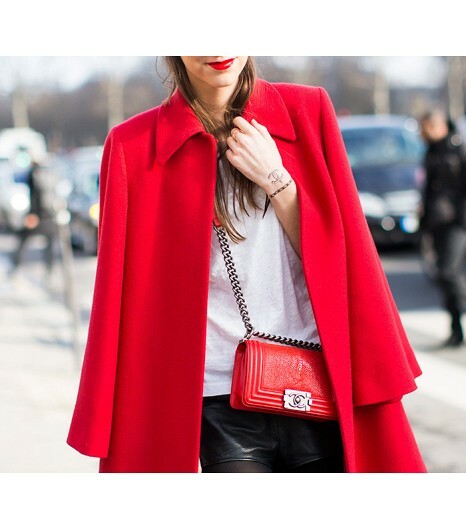 Inject your outfit with a trifecta of color by way of a matching bag, coat, and lip color, as this style maven did to great effect. 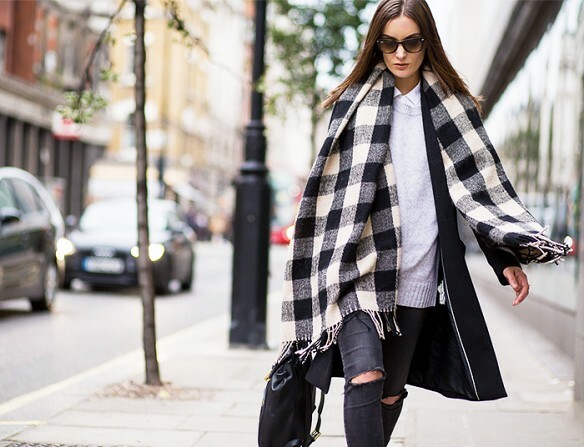 Add some drama by letting your long scarf hang over your coat. Instead of reaching for tights and heels, go with a pair of leather boots! Add an unexpected touch to a midi skirt with these babies! Got a Minute? Quick and Style! Purposely tucking your hair inside a sweater, scarf, or coat is a trend that will keep your ears warm! Plus there are a few key reasons this simple styling trick is the easiest way to refresh your look. Not only does it radiate a care-free allure, but it’s also a way to test out the faux-bob trend. But don’t let me convince you, check out these stylish civilians wearing the chic winter look. Will you try the Hair-Tuck? Check out these ten staples deemed universally flattering! Nothing lengthens the leg like a classic heel, especially when they are a similar shade to your skin. Kate Bosworth demonstrated this technique with a pair of Jimmy Choo Agnes Suede Pumps. Rita Ora pulled out everyone’s favorite slimming secret weapon for date night: the paneled dress. 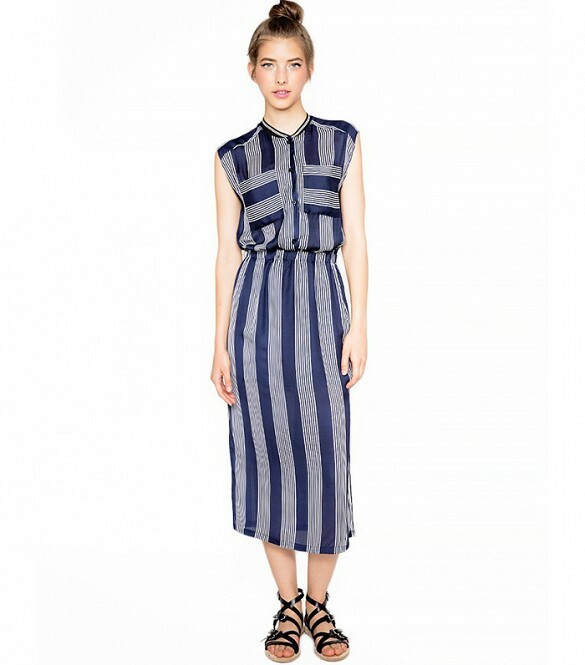 Her Vionnet Pre Fall 13 black & white dress is a fab rendition of this staple. Whether or not you’re bold enough to go for the electric blue Tibi Bonded Techy Twill Coat that Lucky Editor-in-Chief, Eva Chen, wore you can’t deny the appeal of a menswear-inspired coat. The sharply tailored piece looks good on just about everyone. You can’t go wrong with a classic button-down shirt. Wear it tucked in if you want to highlight your waist, or leave it loose like Jessica Alba did with her Bella Dahl Patch Pocket Button Down Shirt In White. There’s a reason the trench coat never goes out of style: the built-in belt is ideal for enhancing an hourglass shape. Laura Whitmore accentuated her curves in a Warehouse trench, despite layering up for the weather. Why does an A-line skirt look good on everyone? It’s all about the cut: it nips in at the smallest part of your waist and then conveniently flares out over the hips like Hannah Holman’s printed skirt. Veteran Victoria’s Secret model, Alessandra Ambrosio knows fashion that flatters. The flowy fabric of a silk blouse camouflages any flaws or unfavorable angles. A properly tailored blazer, like the one Karlie Kloss wore, is always a smart decision for defining your shoulders and waistline. Mirror, mirror on the wall, which is the most flattering pant cut of all? The slim (not too tight, not too loose) trouser with a slightly cropped hem, of course. Take note of the fit of Ashley Madekwe’s Topshop Unique trousers. The magic of a moto jacket is twofold: it fits close to the body, and the thick leather material has an overall smoothing effect. Example: the ultra-flattering Balmain Quilted Jacket that Rosie Huntington-Whiteley wore. During the brisk months ahead, It’s recommended that you build your outfit around your outerwear. To show you how it’s done, I’m peeling back the layers of 7 different coat-centric looks. A bold evening coat looks great with a cocktail dress, but try taking it out of its element with a pair of worn-in boyfriend jeans and a knit cap. Alice + Olivia Shawl Collar Coat ($898); Joe’s Jeans Tux Tee Shirt ($88); Big Star Rolled Slim Jeans ($142); Gap Chevron Hat ($20); Loeffler Randall Rider Bag($650); Bruno Magli Kitten Heels ($595). 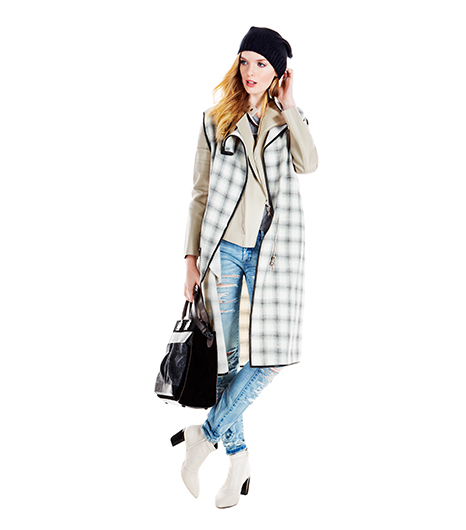 A sleeveless plaid coat serves as an excellent layering piece over a jacket. Balance the coat’s longer length with a sleek biker jacket that rests at the hips. Phillip Lim Cape Vest ($895); Phillip Lim Biker Jacket ($1,695); Chaser Tank ($60); Blank NYC Skinny Jeans ($88); BCBG MAXAZRIA Knit Hat ($68); Annelise Michelson Necklace ($420); Rag & Bone Pilot Bag ($925); Dolce Vita Quid Heels ($209). 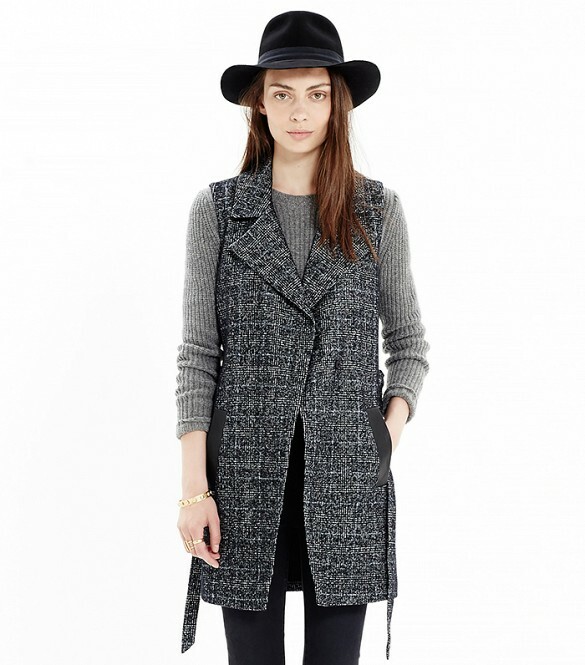 The peacoat is an outerwear crowd pleaser, it goes with everything. 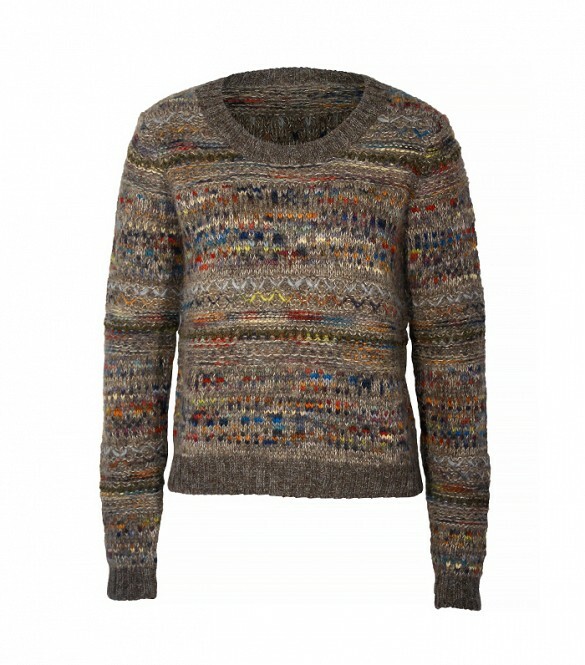 Since the piece itself is a bit understated, add interest to your look with a mix of textures and prints. A.L.C. Cannady Peacoat ($795); LOFT Stripe Sweater Tee ($40); Joe’s Jeans Dandy Woven Shirt ($168); Lover Mini Skirt ($400); A.P.C.Chain Strap Bag ($620); HUE Opaque Tights ($14); Giuseppe Zanotti Boots ($1,895). The long and short of it: an ankle-grazing coat functions as the perfect balance for a minidress and combat boots. Mara Hoffman Coat (similar style here); Guess Denim Skirtall($108); Rag & Bone Marigold Top ($290); The 2 Bandits Wharf Earrings ($128); Rachel Zoe Montana Backpack ($395); Burberry Silk Scarf ($495, similar style here); HUE Luster Tights ($14); Rag & Bone Boots ($595). 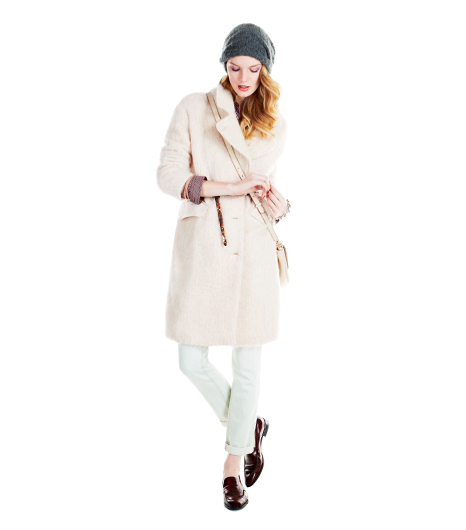 Pink is the new black, so treat this fuzzy coat as a neutral with washed-out skinny jeans and a muted plaid shirt. H&M Coat ($149); Equipment Cardigan ($318); April, May Top ($209, similar style here); McGuire Boyfriend Jeans ($218, 877.746.7267, similar style here); The Elder Statesman Cashmere Beanie ($270); DKNY Crossbody Bag ($265, similar style here); Paul Smith Loafers ($437). The quickest way to toughen up a menswear coat: add a biker vest on top. To further the look’s no holds barred vibe, throw on a sheer lace blouse and metallic heels. Tibi Moto Vest ($950, 212.226.5852, similar style here); BLK DNM Coat ($1,195); 7 For All Mankind Lace Top ($218); Triarchy Tie Dye Jeans ($245, similar style here); Gucci Sunglasses ($345); French Connection Bag ($348); Fendi T-Strap Pumps($1,190). Hit on the season’s grunge look, while simultaneously indulging your daring side, by pairing a faux fur coat with a plaid oxford, zipper-detail skinnies, and printed ankle boots. Opening Ceremony Cocoon Coat ($795); Juicy Couture Sheer Plaid Blouse ($108); Paige Denim Skinny Coated Jeans ($269); Chloè Tote ($2,320); Shoe Cult Chelsea Boots ($120). Here are three fab outfits to step into this season -featuring Sorel boots – and you can get all these must-haves from the fall collection at Nordstrom today. Brave winter’s chill with tucked-in jeans and a chunky knit sweater create a weekend-ready vibe, while a menswear-inspired wool coat keeps the look feeling pulled together. On Model: Theory Elibeth Wool Blend Coat ($755) in Dark Charcoal and Innis Crewneck Sweater ($285) in Oatmeal; Miss Wu Vera Lace Print Silk Blouse ($225) in Vera Lace Print; PAIGE Denim James Crop Jeans ($114) in Aero; SOREL Conquest Carly Boots ($220) in Black. Accentuate the cool factor with ‘90s touches, like a field jacket, stripe tee, and a plaid shirt tied around the waist. On Model: BB Dakota Tawny Studded Anorak ($98) in Army Green; T by Alexander Wang Stripe Linen Tee Shirt ($125) in Ink and Ivory; Wayf Plaid Flannel Shirt ($49) in Red/Green; T by Alexander Wang Bonded Jersey & Neoprene Skirt ($230) in Black; HUE Ribbon Leg Warmers ($14) in Black; SOREL Slimpack Riding Boots ($210) in Shale. For a riff on Katharine Hepburn in the ‘40s, team a shearling jacket with high-waisted trousers cuffed at the ankle. When it comes to outerwear this season, order a size up. Today’s chicest toppers are larger than life. Here are four ways to style this new menswear inspired silhouette. Perfect attire for a crisp fall day. 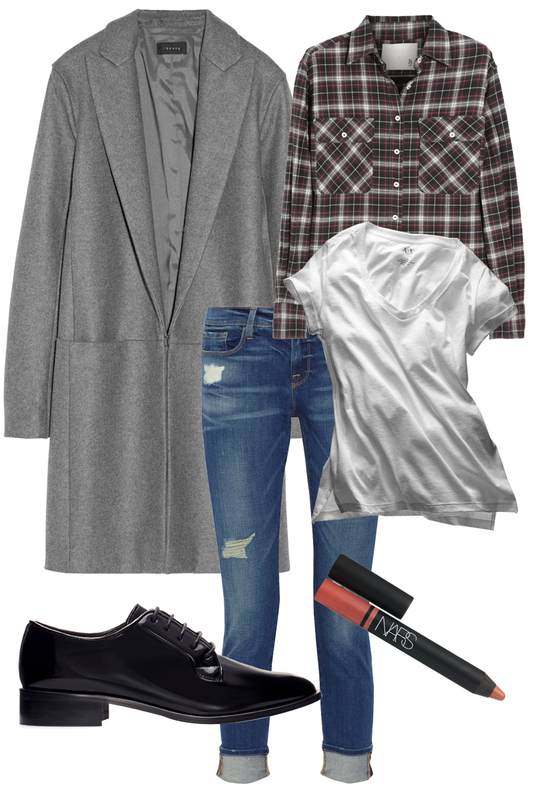 The ideal topper for this gray and navy date-night look. Layer over sweaters and your favorite pair of blue jeans for weekend dressing made easy. Drape over your shoulders and wear with statement boots for your next night out.